There’s something in the air in Battery Park City! 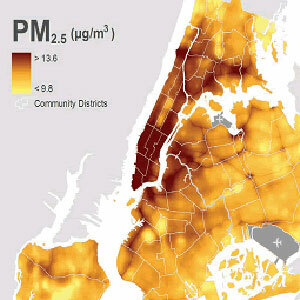 A report released by the New York City Department of Health yesterday confirms that even in our quiet neighborhood, our community district reports the “highest particulate concentration” or high levels of smog in the city. Particulate matter consists of pollen, dust and other materials in the area — mostly found in high trafficked areas, or areas flanked by major highways or thoroughfares, including in our areas, the West Side Highway and the entrance to the Holland Tunnel. The study which was conducted during the summer mont hs of 2009 also found that most of the major summertime pollutants are concentrated in densely populated areas, where traffic is more congested and where more fuel is used for cooking and water heating. The study also stipulates that cities with high PM2.5 pollution had shorter life expectancies. To view and access the entire report visit New York City’s Department of Health website. Are you worried about the Â air quality report in our area? 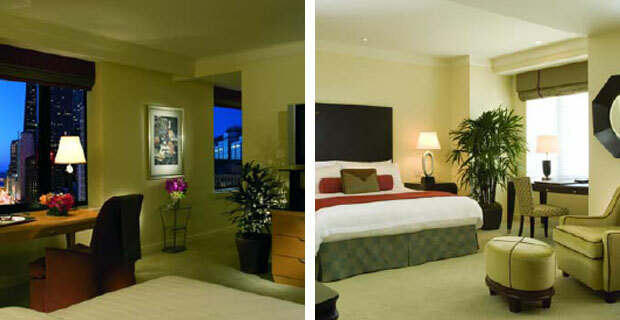 In a new interview published by Hotelworldnetwork.com, details are coming forth about the new Conrad luxury hotel slated to open in Q4 2011. The interview with head of luxury brands John T.A. Vanderslice discusses the Hilton’s luxury brands strategy in opening up its 5th United States location in Battery Park City. Considering there is a Ritz Carlton and a W hotel within a two block radius of Ground Zero, we’re not certain we agree with that sentiment. “The soaring, sunlit 15-story atrium lobby features a dramatic Sol LeWitt art piece rising 13 floors above the check-in desk. Â Each luxuriously appointed guestroom will feature an average of more than 550 square feet, a minimum of two flat panel televisions and a full complement of contemporary electronic features. Â Conrad New York will also feature upscale dining and beverage outlets that are consistent with Conradâ€™s global definition of luxury. Â Interior design is being styled byÂ Kohn Pedersen Fox Associates,Â Office dA andÂ Remedios Studios. In addition, more than 17,000 square feet of flexible meeting space will ensure that guests can stay connected and meet in comfort, supported by state-of-the-art technology and meeting facilities. Â A 6,000 square foot Grand Ballroom is designed to accommodate conferences and social gatherings for more than 600 participants. Former supervisors plead not guilty to manslaughter charges. Mitchel Alvo, Jeffrey Melofchik and Salvatore DePaola have pled not guilty to manslaughter in the fire that killed two firefighters responding to the blaze. The three men all had roles related to the safety of the site including asbestos-removal foreman to site safety manager. However, the defense team claim the men did not realize the pipe was in fact a standpipe as it had never been identified by inspectors as such before the blaze. 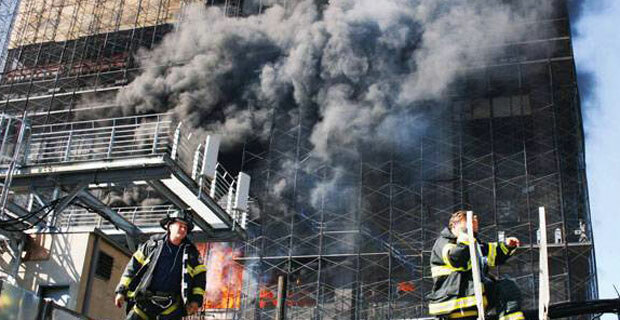 The inoperable pipe has been blamed as instrumental in the deaths of the firefighters. Their attorneys have claimed their clients are nothing short of taking the fall for other infallible organizations on the chain, including government agencies who are immune from criminal prosecutions. “Why are they scapegoating a few defenseless people at the bottom of the line?” Edward J.M. Little, Melofchik’s attorney questioned during the hearing. The trial is set for January 18 and the dismissal motion will be heard on October 21. The planned location of the Ground Zero Mosque. In the most contentious and controversial real estate construction plan in recent memory, today a meeting will be held to determine the fate of the Cordoba House Mosque on 45-47 Park Place. The last hurdle for mosque proponent has hinged on approval from the New York City Landmarks commission who’s hearing will be held today and is open to the public. The hearing will start at 2:00pm and ends at 5:00pm. We’ll update the site when the ruling comes down from the hearing today. Condo sales rise citywide except in Financial District. Condominium sales have climbed throughout all of Manhattan except in the Financial District, according to Radar Logic, the company that runs the RPX index which calculates condo sales. The RPX index measures 8 separate neighborhoods in Manhattan and reported that prices declined in five out of eight Manhattan neighborhoods, with our neighborhood accounting for the steepest drop in both sales and price per square foot. 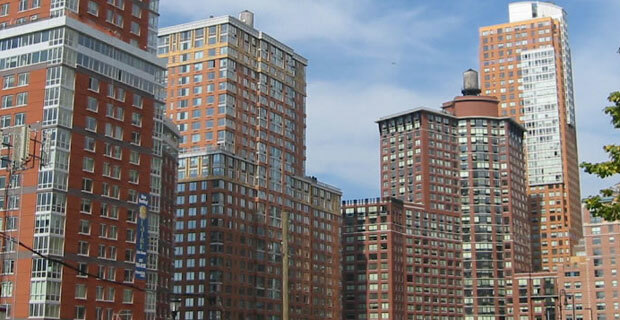 In April, Manhattan condo sales had seen a stark rise to 383 units — 246 units over last years figures. However, compared with March numbers, April condo sales were up 20%. An increase in condo sales is usually good news –except the overal price per square foot was down 6.9% year over year. Our neighborhood which is included with condominiums located in the financial district had reported an average price per square foot drop of nearly 16.% percent Â — at approximately $869.21 per square foot. Whereas Murray Hill/Gramercy Park reported the biggest gain, with a 6.4% to $1,014.04 per square foot. 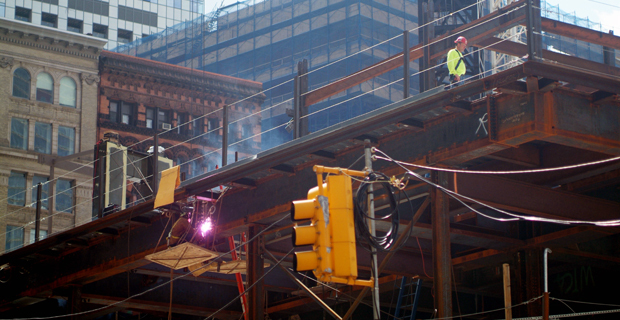 City finally gets the ball rolling on new WTC performing arts center. A long-delayed project to erect a performing arts center at Ground Zero is finally picking up steam. New York City has stepped up to the plate with $44 million to help build the center’s below-ground foundation, according to the Associated Press. The board of the Port Authority of New York and New Jersey approved a deal last week that will have the city repay the Authority for the work at the World Trade Center site. 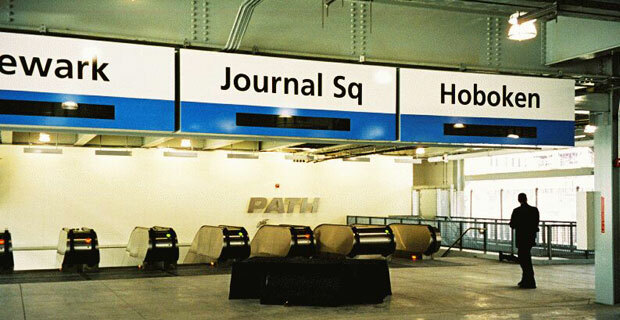 New WTC Transit Hall is one step closer to reality. Good news for anyone eagerly anticipating the new World Trade Center PATH and subway hub designed by renowned Spanish architect Santiago Calatrava: Earlier this week, the Port Authority awarded an $86 million contract to Long Island-based Sorbara Construction Corp. to get the ball rolling on the project. According to NJ.com, the firm will provide the concrete floor slabs, beams and walls that will comprise the sculpted components of Calatrava’s epic Transit Hall — which, along with the 9/11 Memorial and the 1,776-foot-tall WTC 1 (aka the Freedom Tower), is already being hailed by officials as another aesthetically pleasing, architecturally significant addition to the World Trade Center site. Do we really want former John Galt Corp. players working on 4 World Trade Center? Regional Scaffolding and Hoisting Company, a contractor that was the focus of a criminal investigation into a 2007 fire at the Deutsche Bank building that resulted in the death of two firefighters (AND that remains under scrutiny for financial irregularities), is set to return to Ground Zero to work on the office tower at 4 World Trade Center. According to The New York Times, documents filed with the city show that Regional Scaffolding was issued a permit two weeks ago to install a construction elevator at 4 WTC. And, yes, that means exactly what you think: A company being eyed for criminal negligence and fiscal shadiness has been rewarded with a prime gig at the office tower developer Larry A. Silverstein is constructing at the World Trade Center site. 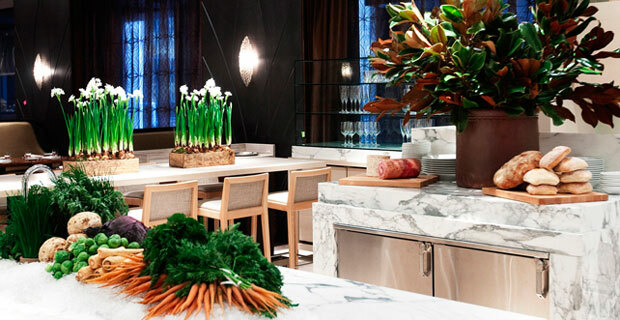 Andaz offers a farm-fresh new take on hotel amenities. It used to be that a complimentary continental breakfast was the pinnacle of a hotel’s amenities. But in a time when 42-inch HD flat-panel TVs, iPod docks and free wireless Internet are considered the norm, hotels can be hard-pressed to impress. Not so with the Andaz Wall Street Hotel, which (as its names suggests) is located on Wall Street and (as its name does not suggest) will be knocking the socks off its guests (as well as anyone else who wants to come) with a farmers market to be held on its premises every Saturday from July 10 through Nov. 20. Gov. 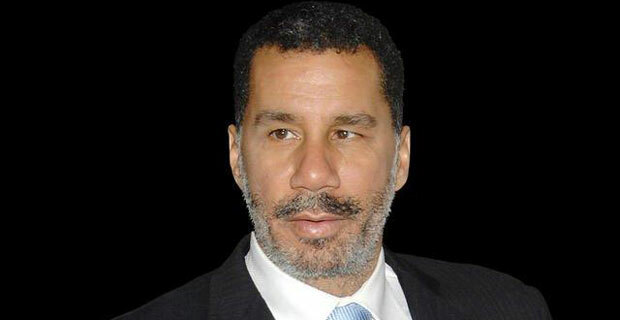 Paterson to Gut Lower Manhattan Development Corp.
David Paterson doesn’t like ineptitude. In fact, he abhors it so much that he’s going to go ahead andÂ gut the Lower Manhattan Development Corp. (LMDC) this summer. According to the New York Post, Gov. Paterson will slash the 35-person staff — which reaps a combined annual salary of around $3 million — down to a crew of just five. The reason for this drastic measure: The LMDC hasn’t doled out $540 million of the $3 billion in federal funds it was created to dispense, and it has yet to carry out one of its primary duties, the demolition of the former Deutsche Bank building. The LMDC’s critics, which not so shockingly include one of its own board members, say the corporation has devolved into a money-sucking bureaucracy with only one goal in mind: to justify its own preservation. Gov. 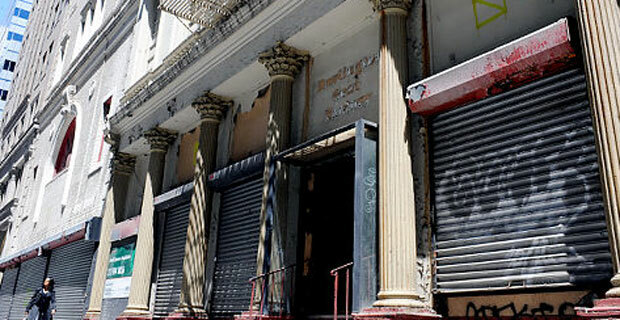 Paterson hopes that this slash-and-burn will jolt the corporation into action, compelling those still left standing after the shakeup to put the remaining Congress-allocated cash to good use in the rejuvenation of Lower Manhattan. This includes paying off cost overruns of the 9/11 Memorial and Museum, funding a planned performing-arts center, and giving money to non-profit groups and small businesses. In fact, the LMDC still has $4 million in its coffers that is supposed to be dispensed in $25,000 increments as grants to local small businesses. And, according to a recent Community Board 1 survey, a whopping 66 percent of local small business owners didn’t even know they were eligible for these grants. Sounds like the LMDC still has a whole lot of work to do — and pretty soon it’ll have 30 fewer people to do it.